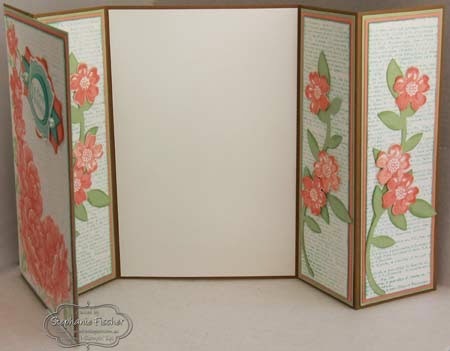 Welcome to our April Blog Hop, you should have arrived here from the lovely Angela Lorenz. This month it's all about celebrating (and maybe mourning a little) the great products that will be retiring soon. 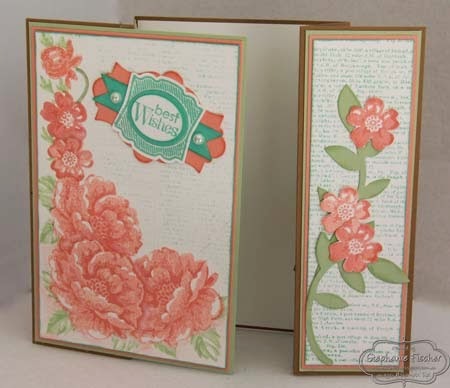 Stippled Blossoms was one of the first Stampin' Up! sets I purchased and I love and use it just as much today as I did then. This really is one of my all-time favourites and I'm so sad to see it go. I've combined it here with the retiring In-Colours: Pistachio Pudding, Crisp Cantaloupe, Baked Brown Sugar and Coastal Cabana - weren't they great colours! This card also includes the retiring punches: Small Oval and Artisan Label as well as retiring framelets: Apothecary Accents (another firm favourite of mine) and Bitty Banners. Just to continue the retiring theme, I've also used the retiring background Dictionary stamp. 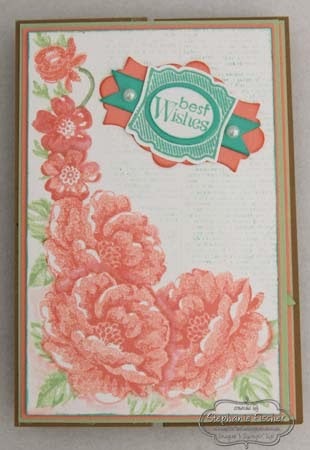 Other retiring products featured in this card are the Label Love stamp set, Flower Frenzy Bigz die and the Petite Pairs stamp set. Remember, the retiring products are selling at up to 50% discount but are only available until 2nd June (while stocks last), so if there's something you like on the list of retiring products - don't hesitate - jump in and get yourself a bargain now. I hope you've enjoyed your visit here. 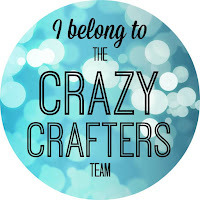 When you've finished, remember to click the "Next" button to move on to visit the next Crazy Crafter, the very talented Sue Wdowik who has done an excellent organisational job as our host this month. Stunning card, I love the colours. I love those colours too! i am going to miss them. Hope they come back in a colour renovation. :-) This card is amazing. What a great fold. Gorgeous card Stephanie.